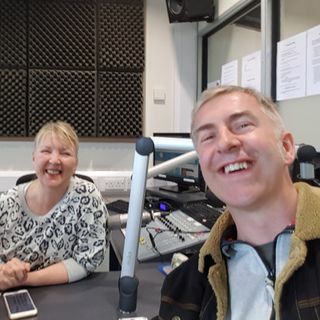 Here's what happens when 2 friends who have not seen each other for a year get together and one interviews the other on her radio show Empowerment Hour on CalonFM on 11th April. We talked about my recent LifeForce Qigong Advanced Level retreat in Poland with my brother Simon Calder. We also discussed the Gravity cradles from www.gravitylife.com (use code INTEGRAL to get an extra discount on RRP). We talked about the upcoming lecture I was giving on Allergies and Epigenetics at the ... See More Frestival - Free From festival happening in Shrewsbury on 18th May https://www.shropshirefrestival.co.uk/ where I will also be demonstrating Epigenetic Body Type testing. And the LifeForce Qigong 5 Element Day for Summer/Fire/Heart energy the day after on 19th May where people can come along to experience Qigong and to clear the stagnant energies of the heart, allowing more love and joy to flow, helping to integrate them seasonally into the next part of the year. It was a blast I can tell you, listen in.